Over the past year, we've been speaking to hundreds of you about what you'd like to see us improve and the most common feedback you gave was around how we tag your transactions. Tagging is what underpins Money Dashboard as it allows us to sort all of your spending and income into helpful categories like Household Bills, Enjoyment and Transport. 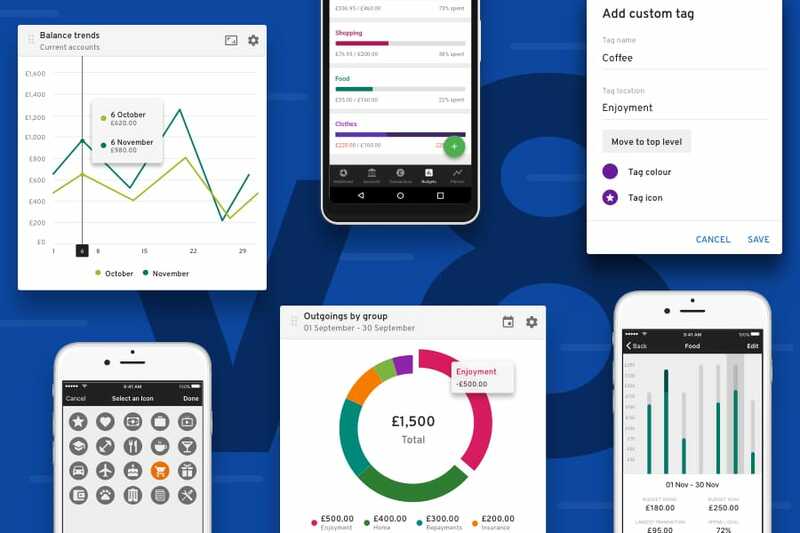 That's why we're so excited to release v8, which brings with it a powerful new tagging engine to categorise more of your transactions, giving you more time to focus on the important stuff like keeping to your budget! On top of that, we've given the Dashboard & Budgets a complete visual refresh to make them much easier to interact with. Planner now has its own widget on the web dashboard to give you an instant insight into your upcoming transactions and you can even customise your tag colours and icons to truly personalise your dashboard.